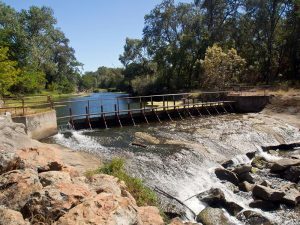 When implemented, the Hemphill Dam Improvement Project will potentially remove an anadromous fish migration barrier on Auburn Ravine that will allow access to 6 miles of headwaters habitat that is further enhanced by seasonal instream water augmentation flows by Nevada Irrigation District. Auburn Ravine is an important anadromous salmonid tributary to the Sacramento River, at the foothills of the Sierra Nevada. This project is Phase 2 in Nevada lrrigation District’s ongoing efforts to support re-establishment of connectivity within this stream. Hemphill Diversion has been identified as a partial salmonid migration barrier on Auburn Ravine, and lies 3 miles upstream of a fish passage project NID successfully completed in 2011. This project proposes to undertake the necessary assessments, including sediment, hydraulic, and fisheries studies, to inform NID’S ongoing efforts to develop alternatives for this site. We will also collect baseline water quality data about the site and identify all necessary permits associated with future implementation. By undertaking this planning effort immediately, NID will continue to advance the project schedule as we have already completed an options analysis for the Hemphill Diversion in 2016. The intent of this project is to evaluate options and support an inter-disciplinary process by a Technical Advisory Group in NID’S selection of preferred option, and to inform an Environmental lmpact Report (ElR) that will be undertaken by the NID in the future. The proposed tasks will be initiated in 2017 and completed in 2020, and all relevant partners are poised to assist in the successful completion of these tasks. 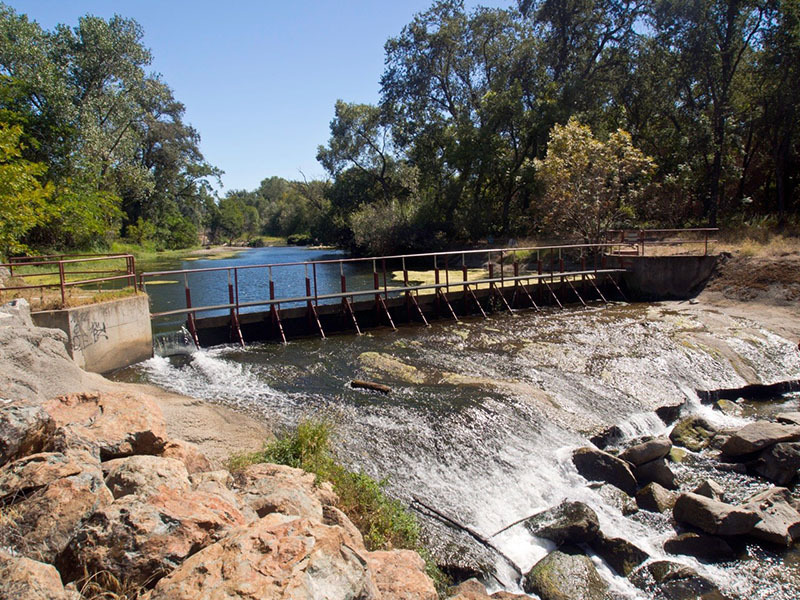 Auburn Ravine is part of a network of smaller tributary streams to the Feather River, and subsequently the Sacramento River, in the Northern sierra Nevada Diversity Group as established in the central valley steelhead Draft Recover Plan, NMFS. ln restoration plans and recovery documents, federal, state and regional agencies have identified Auburn Ravine as having significant fish resources, and with the potential to support higher levels of production after an ecosystem restoration program such as this is implemented. The preceding is copied from the Auburn Ravine-Hemphill Diversion Assessment Project Narrative with permission from the Nevada lrrigation District.